Learn to stabilize difficult shots in Adobe Premiere Pro. In this video tutorial, Mary Poplin walks us through Mocha’s Stabilize Module using the Mocha Pro plug-in for Adobe from Boris FX. While most editing software has stabilize tools, (such as Adobe’s Warp Stabilizer), Mocha Pro’s workflow is driven by user-defined planar tracking for advanced control and flexibility. While this tutorial shows the Mocha Pro plug-in running inside Adobe Premiere, Mocha Pro’s stabilize module can be run in many hosts including After Effects, Avid Media Composer, Nuke, Fusion, Vegas, HitFilm & More. 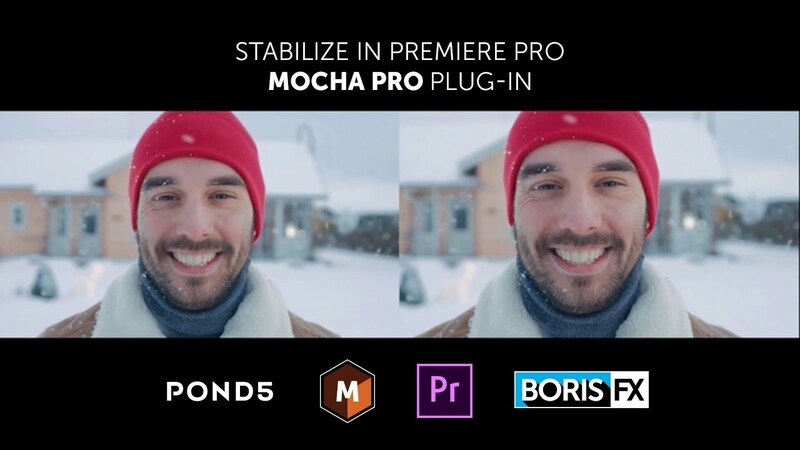 If you are running an unsupported plug-in application, such as FCP X or DaVinci Resolve, the Mocha Pro standalone application can render out stabilized clips. Learn more about Mocha Pro.